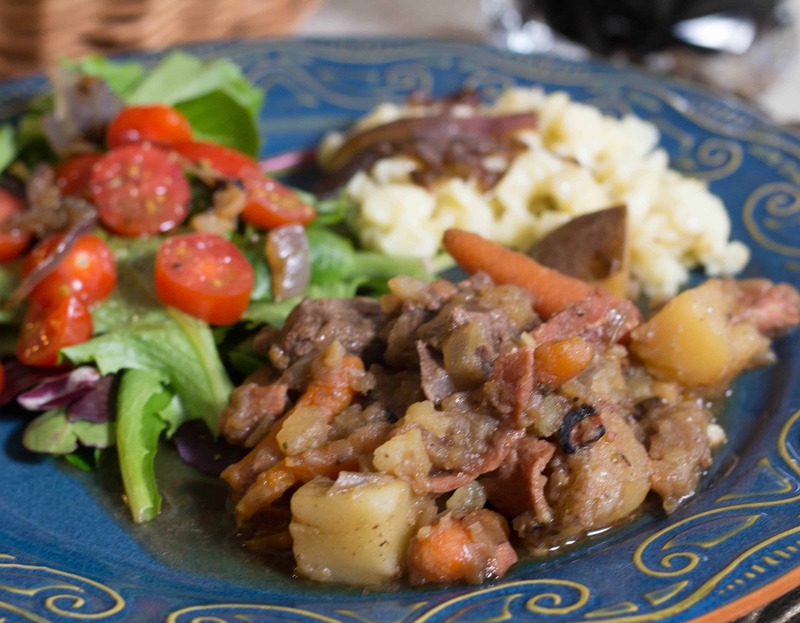 After my trip to revisit all the places I had lived in Germany last year, I came home and created this delicious and tender beef stew. It’s perfect for the fall season! This tastes best in the Instant Pot but you can also do it on the stove. 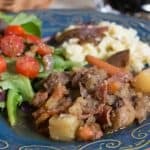 Delicious and tender beef stew! Perfect for the fall season! This tastes best in the Instant Pot but you can also do it on the stove. Smart Points 9 points per cup, if I don’t have the points to spare, I will often eat 1/2 c. of stew with a big salad for only 4 points. I’d rather eat a little bit of heaven vs. a lot of canned soup. Rinse the beef and pat it dry. Cut it into 1 inch cubes. In a large pan or in the Instant Pot, melt the butter. Brown the meat in the butter until thoroughly browned on all sides. You may have to do this in batches in the Instant Pot (sometimes I prefer to do the browning in a large pan on the stove, then transfer to Instant Pot). Transfer meat to separate dish. Add the ham and onions and brown slightly. Add meat back into pot. Sprinkle with flour and brown a bit more until the mixture starts to stick. Add the beer to deglaze the pan. Cook slightly. Season with salt and pepper and add marjoram. Add the bay leaf. If doing on the stove, allow it to simmer with the lid on for about 45 minutes or until tender. No Replies to "German Beef in Beer Roast"